Steve & Jenn met through the sport of Ironman Triathlon. Jenn hired Steve to be her coach for her first Ironman. He did such a good job, that she succeeded and wound up marrying him! Soon after, they moved to Italy in the hills of Tuscany. Without speaking Italian or knowing anything about the business regulations they took on the arduous task of converting a run down 14th century former monastery in an "Agriturismo". Combining Agriculture and Tourism, guests rented rooms at the converted Villa for holiday and events. In addition, we grew olive to make our own olive oil. While there, Jenn attended a traditional Tuscan cooking school and hence we became known for excellent food as well as our scenic location with panoramic views. Much like our location here in Vermont. Jennifer has a life long history of helping people through her dedication to service in the health care industry as a nurse. She brings that sense of compassion with her in our service based business as well. Steve is working his way through the sommelier ranks through his studies with the WSET Wine Diploma program and has earned the title of French Wine Scholar. In addition, Steve is an artist with his work being shown both locally and internationally. All of the art hanging in The Barn was created by Steve and is for sale by consultation. We are at every event and when we are not at The Barn, you will likely find us enjoying some big mountains somewhere ( most likely the Italian Alps! ) on a bike, skis or a snowboard. 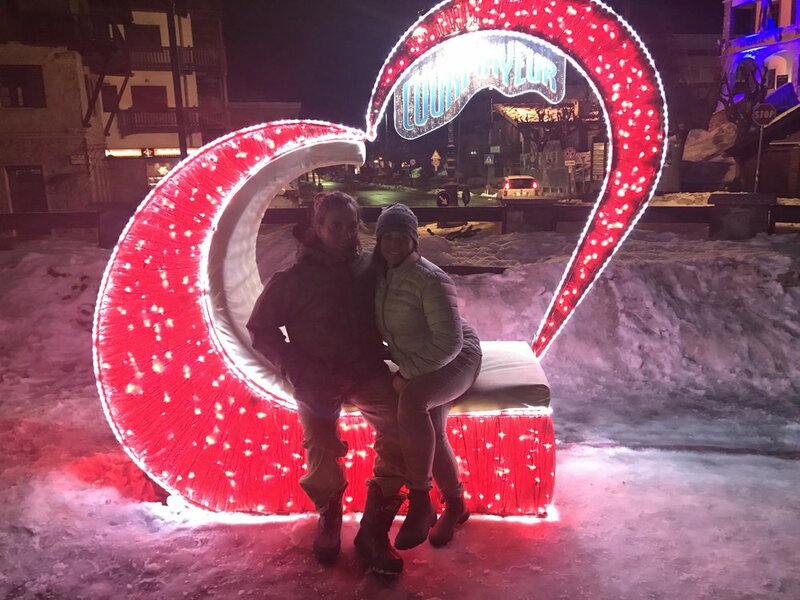 Valentine’s Day Courmayeur, Italy…Mt Blanc / Chamomix. Owner’s of Stowe Wedding Venue, The Barn at Smugglers’ Notch.